Rental depending on location available $240-$360 per year. Graphics can be any colors and will be professionally completed by Bob Walke Signs. Thank you for your support of our community. 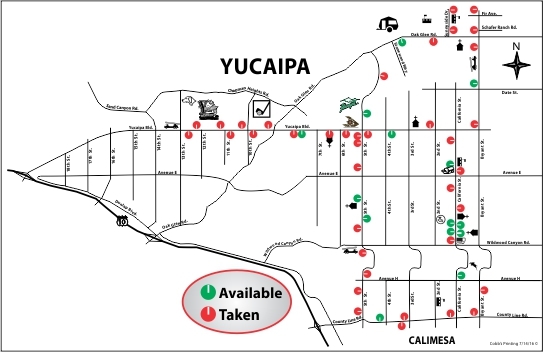 Place your business name and message in view of the thousands of Yucaipa and Calimesa residents who drive the main arteries of our city daily by advertising on the backs of bus benches!